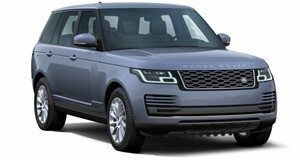 Land Rover’s new Range Rover Coupe will be limited to just 999 units. Limited to 999 units, Land Rover says the Range Rover SV Coupe features “a seductive body design and a supremely refined interior.” “The Range Rover SV Coupe is a highly compelling design with peerless refinement and uncompromised sophistication from its breathtaking exterior proportions to its sumptuous, beautifully appointed, interior,” said Gerry McGovern, Land Rover Chief Design Officer. “This is a vehicle that will resonate on an emotional level.” The SV Coupe’s body style harks back to the very first Range Rover, which debuted as a two-door coupe-style SUV in 1970. Land Rover hasn’t released any images of the SV Coupe’s exterior yet. Land Rover recently as a new limited production flagship model since it’s a “natural progression” for Range Rover to “become even more tailored, bespoke, refined and luxurious.” We’ll find out how the Range Rover SV Coupe compares to the current flagship model, the swanky , when it makes its world premiere at Geneva on March 6.